The story of America’s most infamous crime spree of Bonnie and Clyde told in the raw and honest voice of the woman who lived it, Bonnie Parker. Meet Malala and Bethany. Be Inspired. 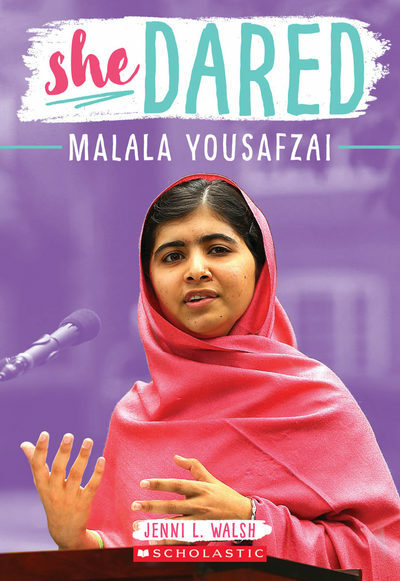 A new nonfiction series for middle graders, telling true stories from heroic women who, at a young age, accomplished daring feats of perseverance and bravery. 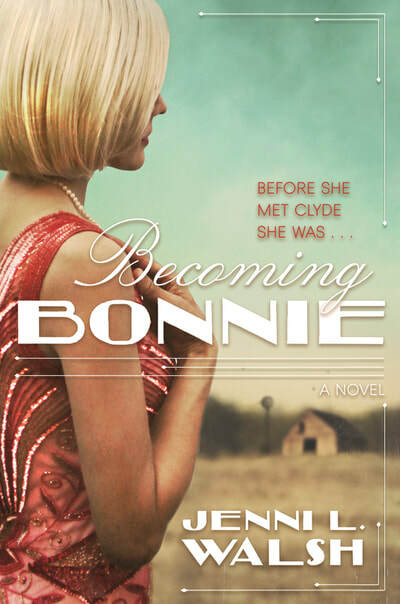 Becoming Bonnie is on Sale for $1.99! For the month of April, download Bonnie's origin story for $1.99 on all ebook platforms! She Dared Series from Scholastic Is Now On Sale! 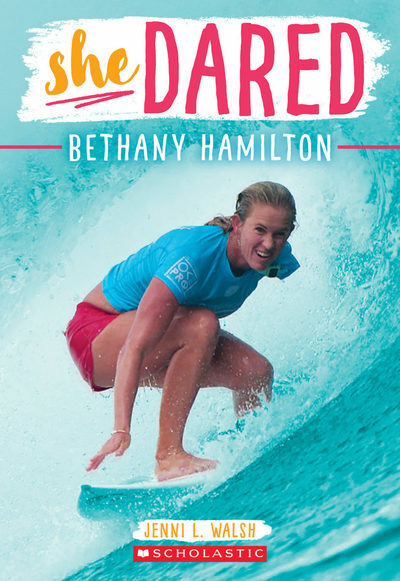 For children 8-12, meet Bethany Hamilton and Malala Yousafzai. Be inspired. Jenni L. Walsh spends her days knee deep in words in Philadelphia’s suburbia. Beyond words, Jenni is a mama (of an soulful five-year-old, an dinosaur-loving three-year-old, and two needy furbabies), a wife, a Philly and 'Nova sports fan.. But where did it all begin? Jenni spent her early years dabbling in various forms of writing and with her nose in a book. Her writing chops first began to develop through one-page stories. Never fail, the storyline followed the same progression: girl meets boy, girl marries boy, girl and boy have baby. That's it. Jenni's mom treated it like a masterpiece each and every time. 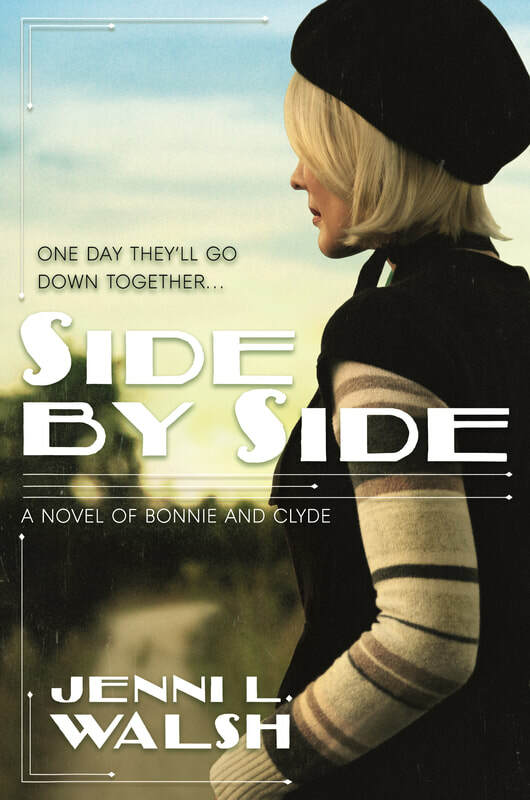 Now Jenni has moved on to stories with a bit more oomph and, for the mamas, Side by Side is the story of America’s most infamous crime spree of Bonnie and Clyde told in the raw and honest voice of the woman who lived it, Bonnie Parker. In Becoming Bonnie, a prequel set in the Roaring Twenties, a picture of Bonnie's earlier life, before and while she meets Clyde, is brought to life. For the kiddos, Jenni's debut middle grade series, She Dared, features true stories from women who, at a young age, accomplished daring feats of perseverance and bravery.